Bengaluru Mayor Sampath Raj has said that the city will soon have helipads to help common people during medical emergencies. The proposal is expected to be presented in the Bruhat Bengaluru Mahanagara Palike (BBMP) soon. “So much of precious time is lost when ambulances are stuck in traffic. We will look at providing such services at nominal prices. Also, when you can pay lakhs of rupees for treatment, I am sure people won’t mind spending a few thousand to save lives using helicopters to fly to the nearest hospital,” the mayor said. 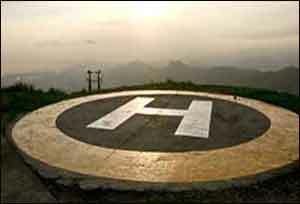 The plan is to name the helipads after former mayors of the city. Ha ha ha ha, what a joke. When all the top private players leave your state because of the new act against pvt doctors, then what\’s the use. Govt. Hospitals are always over burdened.